Getting to know Claire Seneca. 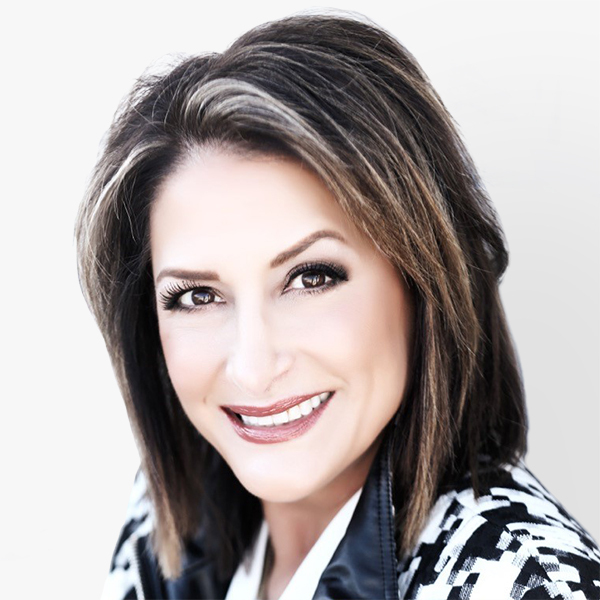 Claire Seneca is a licensed real estate agent representing buyers and sellers in Orange County. She brings with her over 15 years of experience spanning across multiple states. Growing up in Louisiana, Claire graduated from the University of Louisiana where she was crowned “Miss USL” in 1979. Her heritage as a “cajun girl” is evident in her loyalty as a fan for the UL Ragin Cajuns, New Orleans Saints and LSU Tigers. After leaving Lafayette, LA in 1986, Claire and her husband moved to Nashville, TN and were an integral part of the music scene where they signed a recording contract with Brentwood Music, a division of conglomerate Zomba Music. Their debut album resulted in 3 (#1) charted singles and 1 top 5 single along with a “Duo of the Year Award” from the CCMA. Looking for a career change, in 2002, while living in Austin Texas, she ventured into real estate and was named “Rookie of the Year,” closing over $4 million in sales, ranking #7 amongst 100 top producing agents at her office. Practicing real estate in Texas, Indiana and Tennessee afforded Claire new opportunities to quickly adapt to changing market conditions and keenly assess the current local market. Her diverse client base includes first time home buyers, professional athletes as well as top level executives. Claire applies a level of knowledge, negotiation skills and sophistication necessary to “get the job done”, offering each client her undivided personal attention, up-to-date market information and a relentless work ethic…all key ingredients ensuring excellent service. Whoever the client, “It’s All About You” is her motto. She is hopeful to one day establish a local orphanage. She supports the “Wounded Warriors Project” and is active in her local church. Claire and husband Jed, have two children: daughter Cali, who is currently serving in the U. S. Coast Guard and son Seth, an assistant wrestling coach at Corona del Mar High School and a student of finance and economics. In her spare time, Claire loves to cook her native cajun food and spend time with her husband cruising on their sailboat, “The Bon Temps”. Whether looking to buy your first home or sell your existing home in Orange County, Claire is sincerely dedicated and uniquely qualified to help you find your dream home or investment property, with a ”lil bit of southern flare” of course. What Claire's Clients are Saying. Highly likely to recommend - Ralph Silva Bought a home in Newport Beach, CA Let me first say Ms Claire Seneca was just great. Claire helped us find just the type of home my wife and I were looking for in the right area. Everything was going fine then our buyers sell there home and the seller of the house we are buying, buys a house. We have a four house combo and everybody wants to close at the same time. Three buyers are domestic, one buyer is from over seas. Claire was in touch with everyone . We knew what was going on everyday. Not all went as planned, but Claire and the other buyers had to give and take but when is was over, all four buyers are in their new homes FANTASTIC! Highly likely to recommend - Chris Miller Sold a Condo home iin Costa Mesa, CA Claire was an outstanding professional when it came to selling my home/condo. She was extremely responsive and very well versed on the process without skipping a beat. She knew exactly what she was doing, and had a clear, recommended path for me to follow...which I did...and it paid off. Her experience was evident from our first conversations and she delivered in every aspect. All communications were clear and timely, and she fully explained every nuance along the way. She was polite and sincere, yet aggressive when she needed to be - all part of the process. I would definitely recommend her for your next real estate transaction - a true, experienced professional who knows the market and cares deeply for her clients. Highly likely to recommend - Jim Adams Bought a Single Family home in Mission Viejo, CA. As newcomers to the home buying process, we needed tons of help, and Claire was there for us the entire way. Without her help we would never have found our new home. Claire helped us throughout and was available to us whenever we needed her. I highly recommend Claire Seneca. Highly likely to recommend Robin Reed Sold a Condo home in 2017 in Laguna Niguel, CA. Local knowledge: Claire reached out to me in the Spring of 2016, to ask if I would consider selling my condo. I was not ready at the time, but we kept in contact over the next year. With each conversation, we grew to know each other a little better. By Summer 2017, I was ready to list, and I contacted Claire immediately. She was a fantastic choice as an agent. She had a clear strategy, and worked very hard to put everything in place to secure the best buyers. We had multiple offers in a very short time. Claire and her team were so professional, and on top of every detail. I highly recommend her to anyone wishing to list or sell their property. Highly likely to recommend Jody Norcio We had the privilege of working with Claire on both the selling of our old house and the buying of our new house. She was professional, attentive, took into consideration all of our requests, and made the transition of both sales smooth and easy! She was very fun to work with, and we highly recommend Claire to anyone looking to buy or sell a home! Highly likely to recommend Todd Lohr Sold a Condo home in Aliso Viejo, CA. Local knowledge: I enjoyed working with Claire. She made the process as easy as possible and was knowledgeable yet not pushy with her ideas and plan. Was willing to listen to our needs and made the deal happen. Thanks Claire! "Claire was the light in the dark tunnel of home buying. She worked with us for over a year and gave sound and earnest advice in every aspect of the process, plus she gave great referrals for lenders, and inspections. She ultimately went to bat for us with the sellers agent, escrow, and loan companies, and helped us get into our new home. She's the absolute best and someone you can trust to have your family's best interest at heart. We highly recommend Claire." A Selection of Claire's Recent Sales.